When there are no Pokémon centers nearby, the battle-weary Pokémon plops on the ground to take a breather between random encounters. 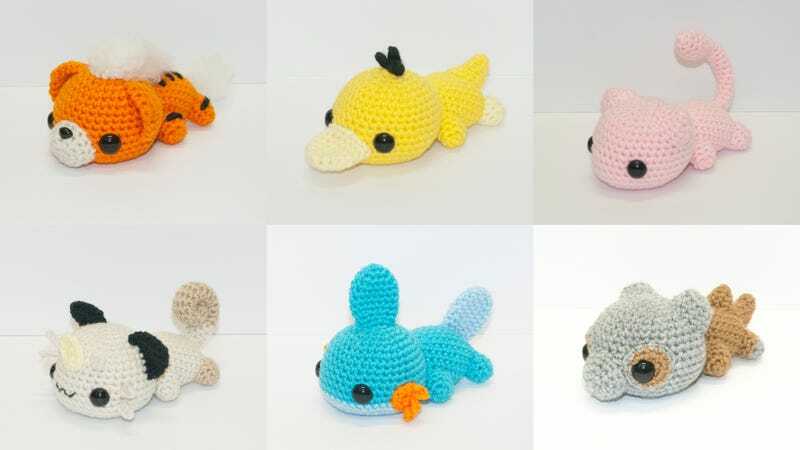 At least, in the universe where these crochet Pokémon are from. Awesome. Heartstringcrochet’s full selection can be found on his DeviantArt and at his bigcartel shop.